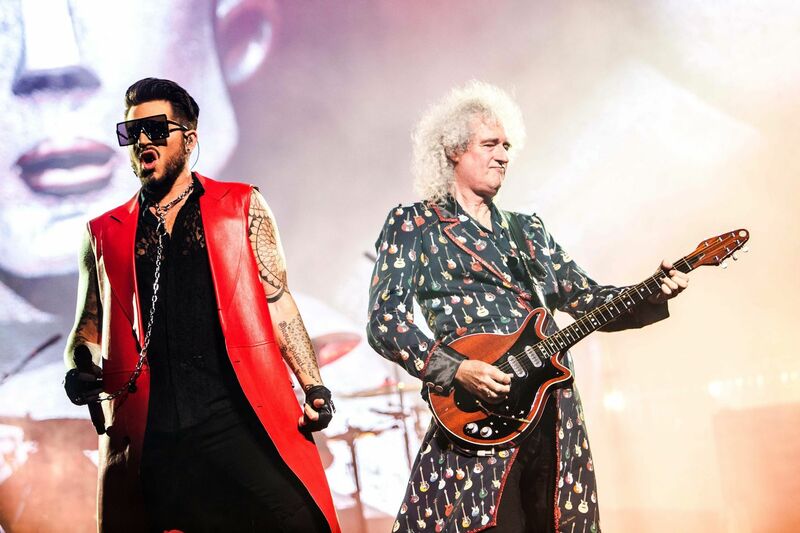 One month after the release of Bohemian Rhapsody, one of the highest-grossing music biopics of all-time, Queen capitalized on that momentum by plotting a North American tour with frontman Adam Lambert. The 23-date “Rhapsody” trek launches July 10th, 2019 in Vancouver, British Columbia and concludes August 23rd in Charlotte, North Carolina. General public tickets go on sale starting Friday, December 7th at 10 a.m. local time via Live Nation. Queen and Adam Lambert Fan Club pre-sales will run from 10 a.m. local time through 10 p.m. local time on Thursday, December 6th. Lambert, who first performed with Queen during the 2009 American Idol finale, teased the tour’s “visual spectacle” – featuring set design from Ric Lipson of Stufish Entertainment Architects, lighting design from Rob Sinclair and video content from Sam Pattinson of Treatment Studio. The band’s lineup will also feature keyboardist Spike Edney, bassist Neil Fairclough and percussionist Tyler Warren. Queen have staged massive tours the past several years, including a 2017/2018 run in North America, Australia, New Zealand and Europe. Their latest arrives on the heels of Bohemian Rhapsody – starring Rami Malek as late frontman Freddie Mercury – which spawned a career-spanning soundtrack that peaked at Number Three on the Billboard 200 chart.